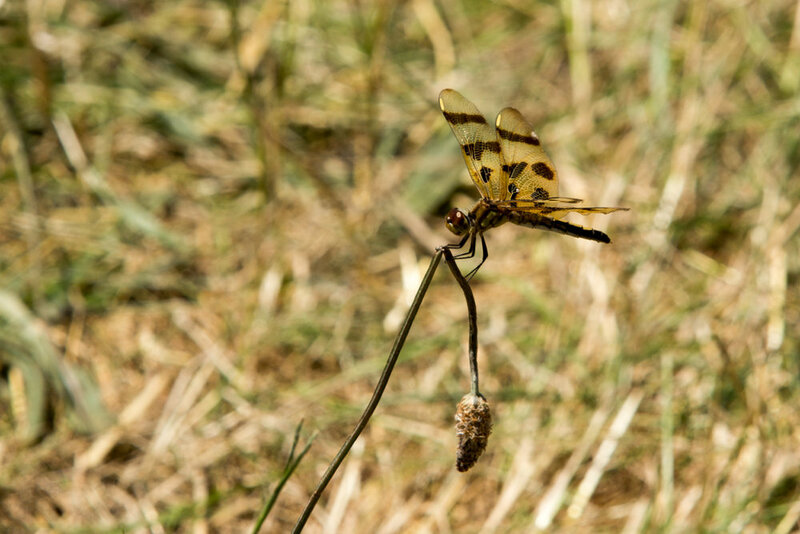 I was at an airshow today and my wife noticed a dragonfly a few few away from where we were sitting. I shot the video and the image from about 3 feet (1 meter) away and was blown away by the detail captured in the photo of it. Take a look at the video to see the movement occurring due to the wind. The detail of it's wings was great considering the lens and shooting conditions. Photo below taken at 1/160 sec, ISO 100, f/13 zoomed in at 200mm.